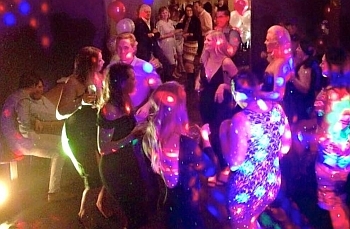 Since 1991 Hobart Mobile Music has been an Australian registered business providing mobile DJ hire, sound and lighting solutions for special events. We are the longest, and largest, established Tasmanian DJ service who are committed to providing specialised DJs who are trained in delivering top service to our customers. With years of knowledge and experience you know you'll be left in the right hands. Hobart Mobile Music provide music for all tastes, with a huge library there's sure to be something that will please all audiences. All our top quality equipment also offer USB inputs, allowing customers to add their own favourite albums or songs direct from flash-drives, iPods or mp3 players! * We'll travel to you!